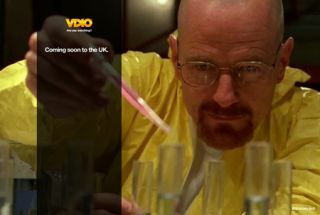 VDIO streaming TV and film service to launch in UK | What Hi-Fi? A new streaming film and video service is set to launch in the UK from the people behind the Rdio online music platform. VDIO is founded by the man behind Skype, Janus Friis, and is "run by a team with experience from Skype, Napster, Microsoft and TV Guide", according to tech site GigaOM. A series of still images from TV shows and films including Breaking Bad, A Clockwork Orange and Karate Kid, adorn the holding page on the website, suggesting some content deals are already in place. And, much like Spotify, the service invites you to login via Facebook in order to be kept up to date with future developments. The site will join the likes of YouTube, Acetrax and Sony's Video Unlimited in offering a selection of streaming TV shows and movies. There's no word on pricing or a launch date as yet but we'll keep our eyes peeled.